The crypto economy is worth more than US$170 billion — and it’s growing every month. With more and more people and businesses tying their assets up in crypto tokens, the need for liquidity has never been more pressing. Liquidity is essential so people can access short term-finance or liquidate their assets, but it’s in short supply in the crypto economy, putting individuals, businesses and exchanges at risk. QUOINE’s LIQUID platform will provide much-needed liquidity for the crypto economy in the same way as major banks provide liquidity for the global financial sector. QASH is the token that will fuel that platform. 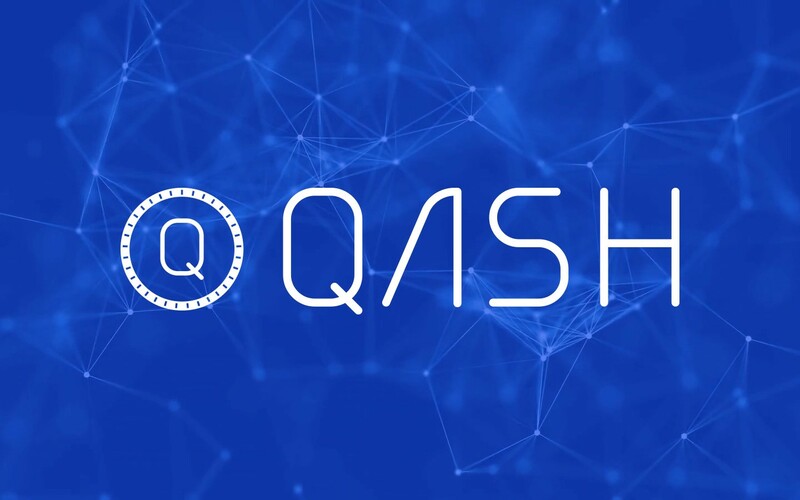 The QASH ICO begins November 6 with 250 million tokens selling at a price of 1ETH for 1,000 QASH. The sale will run from 6–8 November with 20% bonus for the 3 days. Here’s everything you need to know about the QASH token sale. QUOINE is a global fintech company with more than 60 staff across three offices in Asia. QUOINE’s products include QUOINEX, one of the first crypto-fiat exchanges to be fully licensed and regulated by the Japanese government. QRYPTOS is QUOINE’s newly launched crypto-crypto exchange and LIQUID is a forthcoming platform that will provide liquidity to the crypto economy, powered by a new token, QASH. So what exactly is QASH? QASH is an ERC-20 token that will be used to pay for services across the LIQUID platform. The LIQUID platform is a multi-market orderbook that brings together the entire network of global cryptocurrency exchanges to enable the highest level of liquidity possible. QUOINE’s LIQUID platform comprises the World Book, a globally sourced trading platform, and Prime Brokerage, a suite offering direct market access, fiat management, crypto/fiat credit facilities and real-time reporting. The crypto economy is growing, becoming increasingly mainstream by the day. More and more of us have our assets tied on in cryptocurrencies. The need for liquidity is now a matter of urgency. The only place to buy QASH is through QRYPTOS. This is to ensure the safety and security of all buyers. QASH tokens can be bought with the peace of mind that hackers and scammers will be kept out. All participants will need to be registered and KYC-verified on QRYPTOS. The LIQUID platform provides liquidity. Half of the proceeds raised will be used for that purpose. In traditional finance, large institutions such as Goldman Sachs, Merrill Lynch, and Morgan Stanley use billions of dollars to provide liquidity, and as the crypto economy grows and financial institutions move to embrace blockchain technology, there will be increasing need for liquidity on a massive scale from regulated, reputable sources, which is where QUOINE comes in. There are ICOs daily. What makes this one special? The long-term vision is for QASH to become the preferred cryptocurrency of the fintech and financial world. Beginning with startups and working up towards global banks as they adapt to blockchain, the room for growth is enormous. Along the roadmap, QUOINE will launch the LIQUID platform and key products, as well as the QASH blockchain before QUOINE become a fully licensed bank itself, estimated Q3 2019. QUOINE is an already-established fintech company with a growing team of industry experts with more than 250 years of banking experience between them. The team is comprised of fintech rockstars from around the world. QUOINE CEO Mike Kayamori has more than 20 years’ experience in investments, business management, IT and venture capital, while QUOINE co-founder Mario Lozada worked at Credit Suisse and before that spent 13 years at Merrill Lynch in Japan. CFO Katsuya Konno was at Softbank for eight years, CSO Ray Hennessey is also Merrill Lynch alumnus with 30 years’ experience in financial services, CTO Andre Pemmelaar has worked on automated trading systems for more than 15 years, and head of ops Seth Melamed was at Goldman Sachs for more than 10 years.